In compliance with the FTC guidelines, please assume the following about links in the pages on this site. 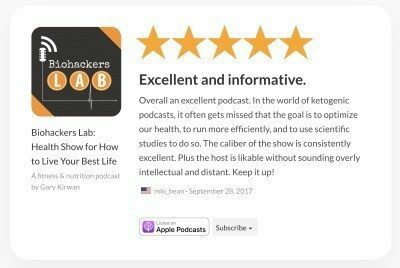 Most of the links going to products mentioned on Biohackers Lab are affiliate links of, which Biohackers Lab founders receive a small commission from the sale of certain items. As an Amazon Associate I earn from qualifying purchases. However, the price is the same for you regardless if you use an affiliate link for Biohackers Lab or not. As a bonus Biohackers Lab might even get to share a unique code to you so you can get a discount on the recommended retail price. BiohackersLab.com is a participant in the Amazon Services LLC Associates Program, an affiliate advertising program designed to provide a means for website owners to earn advertising fees by advertising and linking to Amazon(.com, .co.uk, .ca etc) and any other website that may be affiliated with Amazon Service LLC Associates Program. Please also note Biohackers Lab has not purchased all the products that are linked to. The products that are reviewed are done so by looking at what public information we can find online to try see, which products are most highly recommended, if others have found any recurring issues or concerns, what we feel we would want to choose if we were looking for the best solution, and the questions we might ask when assessing if the product is a good choice for the primary need. If you do use one of our affiliate links we would like to say thank-you for supporting us and the time, money & effort it takes into creating the content on this website for you.